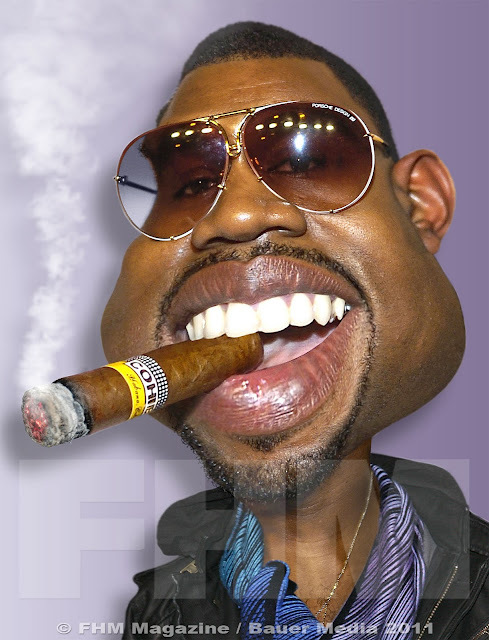 Tonight's post is a manipulated caricature of Kanye West which was used in my first FHM magazine / Bauer Media commission. This is the right side of what was a two-page spread. The story I illustrated had five images of celebrities with a sort of cocky attitudes and the other four will be posted over the next few days. I also got an OK to post the second FHM commission so I have five more images coming in the next few days.